In a world in which knowledge is power, information is critical. Without secure, reliable and accurate data that can be gathered quickly and interpreted clearly, we’re flying blind. Businesses collect operational data in different ways depending on the type and purpose of the data. Integrating many sources of data, such as from SCADA or telemetry systems, or from other business systems, can be challenging and expensive. How does an organisation utilise data from a remote river-level site via satellite telemetry, alongside real-time power station data collected through SCADA? How can an organisation manage remote assets in far-off or isolated communities, islands or countries? How should organisations integrate data into their other business processes? 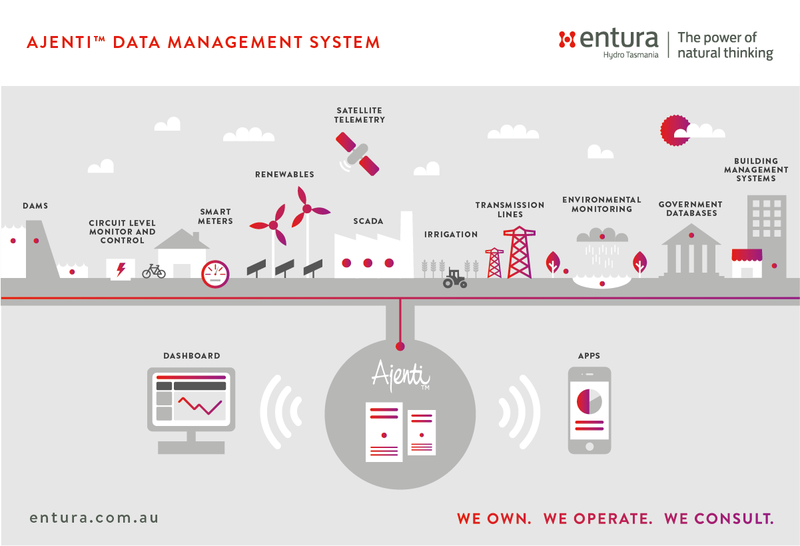 Entura has first-hand experience of successfully solving these kinds of data challenges for many projects across many different technical streams. 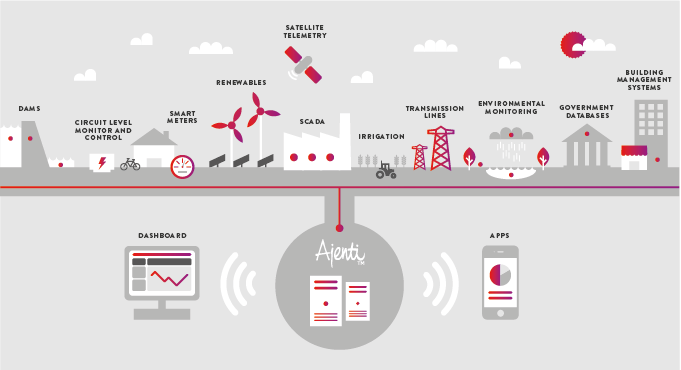 To do so, we have developed the Ajenti™ Data Management System (ADMS). The ADMS can bring together multiple sources of data into a single cloud-based repository where customers can view and analyse their own data. Our experts ensure the system is reliable and available, and can keep a close eye on your data. So you won’t need to waste time worrying about data collection, and can just concentrate on using the data to best manage your operations. Real-time data can be combined with historical information in one place to see what’s happened, see what’s going on right now, or see what’s predicted to happen – giving you everything you need to be able to make informed decisions that will increase your efficiency. And with ADMS, you don’t need to be in the office to view your data. You can access your data from your tablet or phone or a standard web browser, giving you the flexibility to stay on top of your information anywhere, anytime. We can also integrate it with customised webpages or apps to best suit your particular requirements. customisable user interface for personalised display of data. Explore some of ADMS’ features in our live demonstration, which includes sample dashboards and publicly available data on display. If you are an existing client, you can log on here. Our help desk is available Monday-Friday between 7:30am and 4:30pm (AEST) on 1300 850 064 (toll-free in Australia).